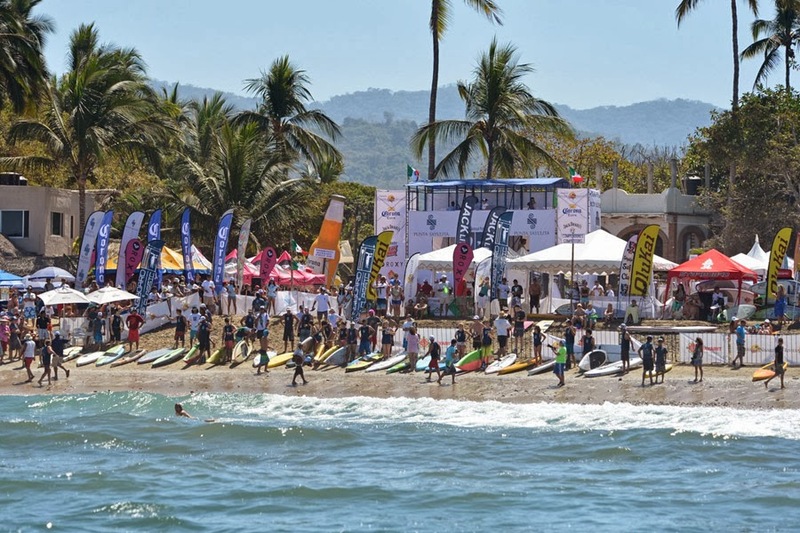 During the most important surfing tournament in the country Sayulita will host more than 60 national and international participants that will put on a show in front of the more than 3,000 visitors expected to flock to this hippie chic seaside town. For its natural beauty, its hippie chic culture, the fact that it’s the capital of surf in the Riviera Nayarit… For this and much more, this is where the best surfing tournament in all of Mexico is being held: welcome to the 5th Punta Sayulita Longboard & SUP Classic. From March 7-9 more than 60 paddlers and surfers—professionals for the most part—will compete to prove who’s the best. This weekend, the beaches of Sayulita will welcome wave lovers from North and South America, Europe and Mexico. According to the event organizer, José Luis Caselín, they expect approximately 3,000 visitors to this year’s event. He pointed out that it has grown considerably since it started, thanks in large part to the support of the Riviera Nayarit Convention and Visitors Bureau (CVB) and the Nayarit State Government. There are three categories in the competition: longboard surfing; stand up paddle (SUP); and 10K, 2.2K and Elite races. All of the categories have men’s and women’s divisions. “This is the only event in Mexico that attracts professionals to compete where there is no purse. They come for the sport, to share waves—it’s a brotherhood. They do it to help grow the sport and the destination, not to mention benefit the community of Sayulita,” he added. Champions including Zane Schweitzer, Tony Silvagni, Fernando Stalla, Ryan Helm, Vanina Walsh and Chloe Calmon have already confirmed their attendance, as well as past champions such as Connor Baxter, Sean Poynter, Mary Osborne, Emmy Merrill, Darren Eudaly, Patricio González and many more. Competition heats will go on until the sun goes down, followed by concerts during the evenings, including one by artist G-Love. Visitors are encouraged to help conserve the beaches and the town of Sayulita, which has gone all out to be the best host of the best surf tournament in the country. For more information click www.puntasayulitasurfclassic.com.